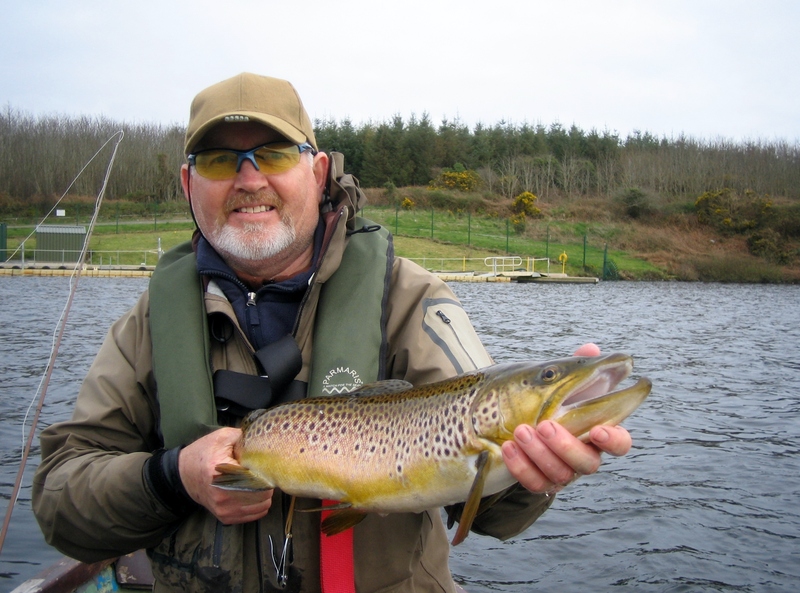 Mike from Clonmel joined the Waterford Fly Fishing Club for this year and while he had been catching some quality trout he was keen to learn the nuances of buzzer fishing, particularly with the large browns that were moving in the lakes already this season. So we arranged to meet up at Carrigavantry on a day with a nice light southerly wind. Conditions were looking good for some buzzer fishing and there was a reasonable amount of small buzzer hatching too. Once we were on the lake I was showing Mike how I fish buzzers on these lakes when WHAM! I was into a serious trout. It turned out to be a superb brownie. Just what we were after. 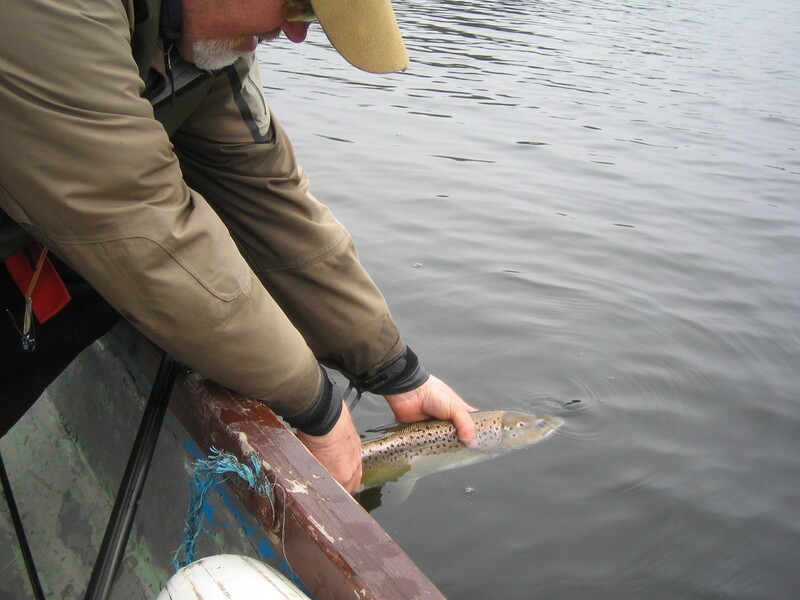 After a quick photo the trout was released back into the lake. A great start but now to get Mike into them! It took a little while and a few missed takes and then Mike nailed one. It was as pretty a brown as you could hope to catch in the lake and it was really big too. 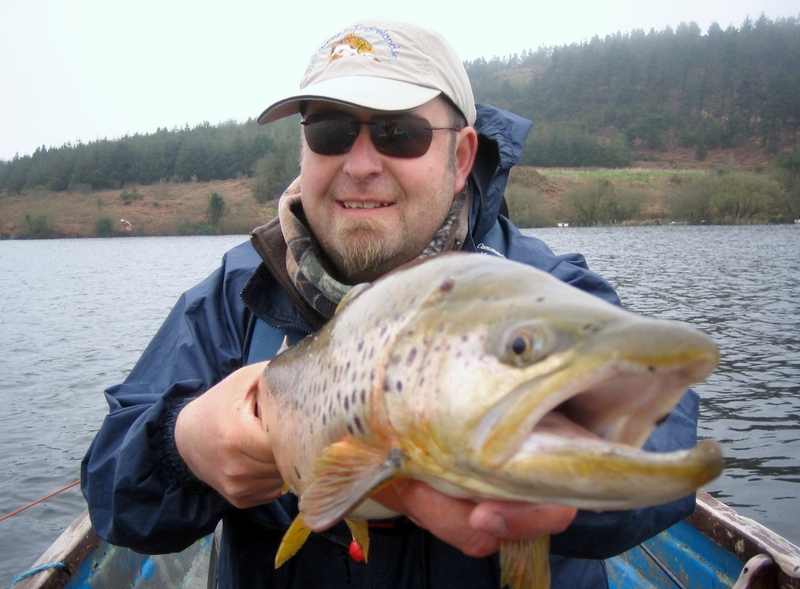 Mike continued to catch and release a few more smaller fish. 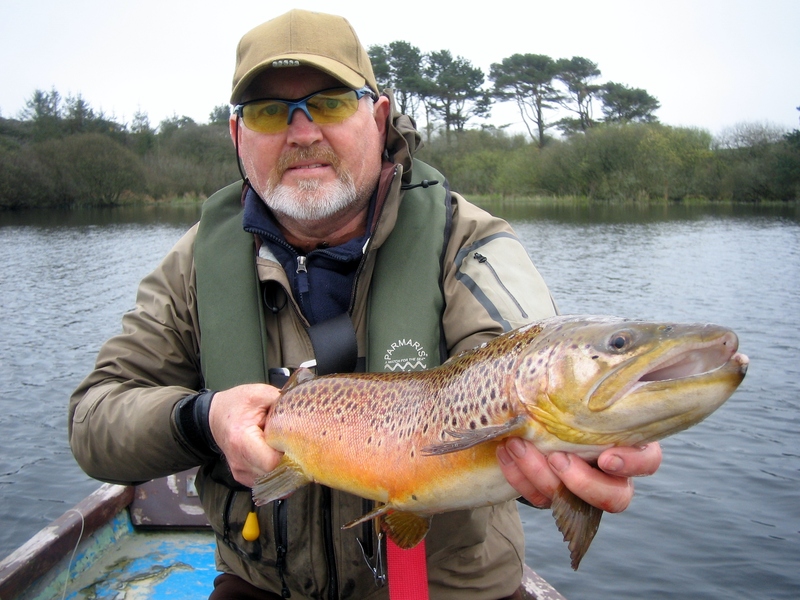 And he finished off his session with another large brown. Needless to say he was a happy angler at the end of the session. 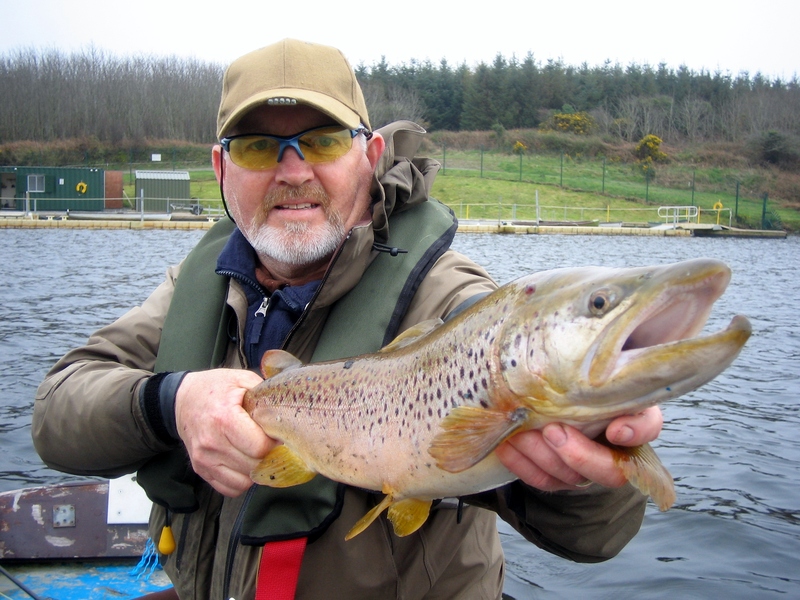 This entry was posted in Uncategorized and tagged buzzer fishing, fly fishing ireland, irish flies, irish fly fishing, waterford lakes, wild brown trout by gamefishingireland. Bookmark the permalink.